This past Spring, North America's waterfowl did the same thing they've done for centuries: breeding, hatching and getting ready for the fall flight. But the way U.S. hunters prepare for the migration has forever changed. Biologists surveyed habitat conditions and counted ponds and birds during nesting and brood-rearing seasons. That info is being compiled into a massive document that will be the 2016 Waterfowl Population Status report, typically finished by July and used in setting season dates and bag limits. Not this year. We already know what those new regulations look like, four months earlier than ever before. Hunting seasons were proposed, debated and set in March, a major departure from the process used since the 1950s for managing waterfowl, which resulted in fall seasons being set in late summer. The U.S. Fish and Wildlife Service states now that "regulatory decisions will be made using biological data observed the previous year." But what about freak weather events this spring and summer? What about potential spikes up or down in the number of birds that showed up on the breeding grounds? What about the impact hunters had on ducks and geese this past season? Is it a good thing hunting seasons now will be established based on year-old data? The federal government says the change is needed to allow adequate time for biologists to properly digest and weigh the mountain of data gathered each year; to provide enough time for states to choose hunting season dates and bag limits from within federal guidelines; and to allow sufficient time for public review of those seasons and bags before opening day. In the past, biologists would survey Canada, the Arctic and parts of the northern U.S. in the spring to count ducks, geese and ponds. Those counts would be combined with harvest data from the previous season. Forecasts were then made for nesting, brood survival and fall flights. All of this information would be released in late July in a report called the "Status of Waterfowl." (A separate process was used for setting special early resident goose seasons and early-September duck seasons). Councils of waterfowl managers in each of the flyways would meet right around the time the big report was released to the public to make recommendations to the USFWS for hunting seasons and bag limits for the coming year. That set the stage for the individual states' seasons. For example, last year, the USFWS proposed duck seasons lasting 60 days in the Atlantic and Mississippi Flyways, 74 days in the Central Flyway (with an additional 23 days in the High Plains areas) and 107 days in the Pacific Flyway. That info and daily bag limits were announced Aug. 3, 2015. The season frameworks specify dates between which hunting seasons can occur, then it's up to the states to choose when they want seasons to run within those dates. Pennsylvania, for example, splits the state into North and South zones, and each has its own split seasons. To pick those dates, the Pennsylvania Game Commission met with hunters Aug. 7 to see what they wanted. The state's selections were forwarded by Aug. 14 to the USFWS for review. Following a 30-day public comment period required under federal law, Pennsylvania's exact hunting seasons and bag limits for the 2015-16 season were finalized by late September less than a month before the North Zone duck season opened. Season announcements cut even closer to opening day in places like North Dakota, where the USFWS announced final dates almost when those seasons were starting (ducks kicked off Sept. 26 last year). "We were always so darned rushed to get this done every year," said Larry Reynolds, Waterfowl Study Leader for Louisiana. This year, frameworks for all waterfowl seasons were created by the USFWS in early March. States used that info to select season dates in March and April, and the feds will make the seasons official in late May (this had not happened at press time). That's just days after biologists from the U.S. and Canada finish flying over critical nesting areas to survey waterfowl populations and habitat conditions. Also at that time, states will be compiling harvest estimates from 2015-16 to submit to USFWS. But all that new information won't be relevant to waterfowl managers until next year. The information used in setting the 2016-17 seasons was gathered last year at this time. Why would the federal government eschew the most recent data in favor of information that's a year old? Data such as spring breeding population surveys, estimates of harvest from the previous season, and band recovery info are not compiled until early summer, says USFWS officials, leaving little time for biologists to analyze the data, and not much time for public comment." Reynolds initially was opposed to the changes. "Two-and-a-half years ago, when this was first discussed, I was a definite 'no' vote," he said. "I was offended that we were going to turn our well-established process upside down because we couldn't get our homework done on time." But then Reynolds and other managers dug into five decades of data, and trends showed there have never been any big one-year swings where we go from being loaded with ducks to having few, and vice-versa. "And hunting seasons and bag limits have no affect on those trends," Reynolds said. Reynolds pointed to the nosedive mallards took in the mid-1980s. As a result, season dates where shortened and bag limits shrunk, but it didn't have much affect. "Mallard numbers continued to decline until some water started coming back to the prairies in the early '90s," Reynolds said. As greenheads made a comeback, so too did longer seasons and higher bag limits. "Increasing the hunting season and bag limit did nothing to stem the growth of the mallard population," he said. But what about freak weather events, such as floods, severe drought and heavy snow in the spring? "Those things might impact some ducks and geese locally, but we haven't seen one-year weather events affect waterfowl continent-wide," said John Devney, Delta Waterfowl's vice president of U.S. policy. "Fifty years of history shows us it just doesn't happen that way." But local, freak events worry Kent Van Horn, a migratory gamebird ecologist with Wisconsin DNR. In Wisconsin, 70 percent of the mallards shot by hunters each year, "are hatched right here," he said. "Arkansas might get their mallards from all over the continent, but we get most of ours from our backyard. I have to be concerned about local weather events." A freak flood or drought could impact that state's mallard production in a given year. Under the old system, there was time for the state to react to such an event ahead of the coming hunting season. Not anymore. "That means we could end up putting extra pressure on our four- and five-year-old ducks our breeders rather than our young birds," Van Horn said. "That's not good." Van Horn thinks chances of a population crash are slim, but it concerns him. Harvest doesn't matter, says Ian Gregg, the Pennsylvania Game Management Division chief. There have been years where seasons and bag limits were liberalized, and harvest dropped. Other years, seasons were cut, but harvest increased. "These transitions smooth out over time," he said. Similarly, Gregg noted that waterfowl populations being high or low does not determine hunter success. From the 2013 season to the 2014 season, the number of ducks climbed from about 45 million to about 49 million. The number of duck hunters spiked as well, from 881,400 in 2013 to 961,500 in 2014. Yet despite more hunters setting decoys and larger duck population in 2014, the harvest dropped by about 400,000 birds. Devney says North America's waterfowl population estimates historically have always been conservative. "Duck hunters may be under the impression that we have incredible precision in our counts," he said. "In reality, there is a great deal of imprecision, and there is very little risk we will overhunt ducks under the new system." In fact, Gregg sees the new system as a check against knee-jerk reactions to one-year anomalies in waterfowl populations. "In the big picture, managers have increasingly realized regulatory changes need to be looked at on a multi-year basis because of normal year-to-year variability in things we don't control, like weather," he said. "The new system will reduce the temptation for managers to try to overcorrect on a year-to-year basis, and instead focus more on long-term trends." And no question, it's a boon for hunters. Wildlife managers believe hunters will greatly benefit from the additional time they now have for planning fall hunts under the new system. "Hunters will now have up to five months to become familiar with, and plan for, waterfowl seasons," said Kevin Jacobs, a state biologist with Pennsylvania. Devney sees potential in the new system for the sport to grow. "Guys who want to travel will have months to schedule hunts," he said. "Even if you stay home, you'll have plenty of time to plan." It will save the states dollars, too. For the first time, states will be able to include waterfowl regs in the pamphlet of general hunting rules published when licenses go on sale. 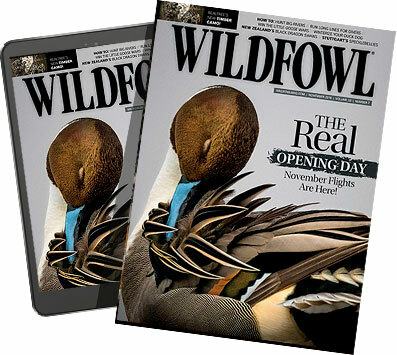 Many states have had to create special brochures at additional expense for waterfowl because the seasons were set so late. Does the fact that the new process will rely on the previous year's observations mean managers will tend to be more conservative with hunting seasons, rules and bag limits? The USFWS says, "no" after running tests using historical data. "Simulations comparing harvest management based on the current versus the previous year's data suggests that...the new process will not make the regulations more restrictive," the agency states. Species with smaller more sensitive populations, such as brant, may be the exceptions, especially if stakeholders decide it is prudent to be conservative. And with species for which there is less data, the agency will continue to follow a more conservative approach, as it does now. Canada has regulated its waterfowl hunting on a timeline similar to the new system for years, Reynolds noted. "And they certainly haven't had any problems up there," he said. And there seems to be little chatter from hunters about the new regulatory process, unless many hunters don't know about the change yet. Devney said the Delta hunters he's talked to are excited to have more time to plan. Veteran Pennsylvania waterfowler Don McCoy wrote about his feelings on a brief thread about the change in the waterfowl forum of HuntingPa.com. "All I've ever been told over the years is how little effect hunting has had on the populations of ducks and geese anyway," he wrote. "So I don't really see a problem with the new system." Time will tell what impact, if any, the change will have. For now, get out your calendars and start planning those hunts.